It is safe to say that since the Supreme Court ruled in May that states could decide for themselves whether to legalize sports gambling, things have been a little crazy in the athletic world. States are rushing to approve gambling legislation, and gambling companies are courting states and franchises to get sponsorship deals. However, the franchises themselves are a little nervous about the whole notion of sportsbooks, as they have been illegal in nearly every state in the United States since 1992. Increasingly, sports franchises have been pairing with companies who have experience with gambling and are able to offer data tracking for integrity purposes. These integrity companies are able to ensure that contests held in the sport are fair and free from the influence of gambling. One of those companies, Sportradar, has just made a deal with the largest car racing brand in the United States, NASCAR, to ensure that all of the races are monitored to ensure the integrity and fair gambling practices. The National Association of Stock Car Auto Racing (NASCAR) really began in two different areas, and merged into one large entity. Daytona Beach, Florida was the capital of land speed records in the area, and was the home of several world records in the late 1920s and early 1930s. The area became known for its fast tracks, and began to hold yearly races. In addition to the tracks in Florida, people in Appalachia were making illegal liquor during Prohibition and selling it all over the United States. To distribute their product, drivers drove small, light, fast cars to outrun the police and federal government officers. These drivers eventually began to compete on dirt tracks as well. These two different racing locations merged and formed NASCAR. Today, millions of people watch NASCAR races every week during the season. The association, which is actually a private business owned by one family, is worth nearly $6 billion dollars. 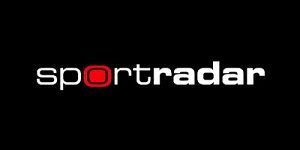 Sportradar began in Europe as a marketing and data analytics company. Its specialty is collecting and analyzing data through algorithms. The company is used by many sports franchises in Europe as a data collection instrument for the integrity of a sport. For example, Sportradar can track betting patterns over several days before an event, and can pinpoint when something may not be right with the betting pattern and when cheating may be occurring. Sportradar began with the Premier League soccer teams in the UK, but quickly expanded to include other teams as well, including professional tennis. In addition to the new deal with NASCAR, Sportradar is also the data provider and integrity manager for the NFL and the NHL. Sportradar has agreed to provide data tools for NASCAR that will monitor betting cycles for the sport, and will be able to determine when a fraudulent betting scheme might be underway. If that should happen, the company can alert NASCAR and betting can be shut down. The agreement between NASCAR and Sportradar is a multiyear plan. NASCAR will no longer have to try to determine where betting is going to use outmoded manual processing. Sportradar can not only measure how much (if any) fraud is going on locally, but globally as well, across all of NASCAR’s series. 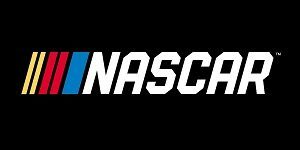 NASCAR is hoping that through its partnership with Sportradar, they will be able to ensure the integrity of the sport. Fans will be able to place bets with confidence, knowing that their bets will be secure and the integrity of racing will be as guarded as possible against fraud and illegal betting practices. Sportradar will also act as an educational outlet for NASCAR as well, providing information about fraud and how it is determined.